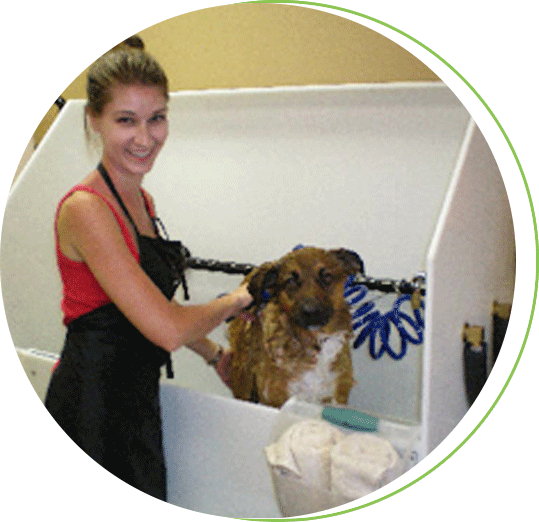 Thank you for making such a wonderful pet wash tub..! The bright white material provides an attractive, clean appearance that my customers instantly notice upon arrival. In addition, the white is much more flexible then stainless steel in coordinating your interior decor. The composite material resists ALL stains and chemicals, making it wonderfully easy to clean. This translates into a reduce wait time for the next customer. 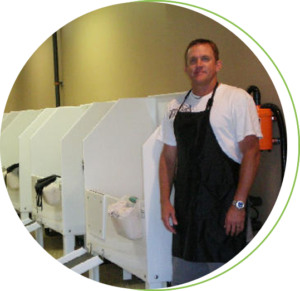 My staff or I am able to completely clean, disinfect and reset a washroom for the next customer in less than 10 minutes. 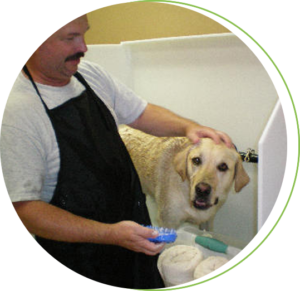 Being one main piece, the Poly Pet Tub is durable with no potential parts to break, and reduces my tub down time and eliminates maintenance costs. The Plastic material is quiet. 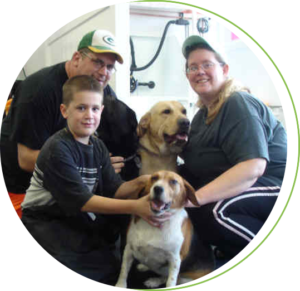 Hoses and nozzles are not banging, clanging and echoing around the dog, making the wash experience less stressful for everyone. And a happy dog equals a happy customer experience and repeat business. Being lightweight and one piece, I am able to easily transport my tubs to events outside of my facility. 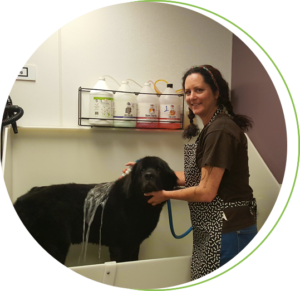 This may seem funny to many grooming shop owners, but having my tub on display at agility shows, charity walks, festivals, or dog shows, I am able to drive potential customers to my facility. 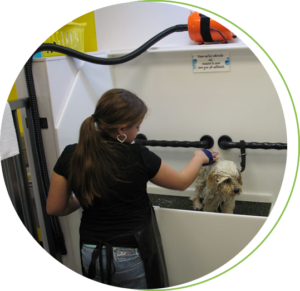 By having my Poly Pet Tub on sight I can easily demonstrate how our facility works and how easy it is to wash a dog. In addition, the tub acts as an additional display platform to showcase our others services, reducing the amount of display shelving/tables I have to transport. As you can see I have been able to use my Poly Pet Tub as a revenue generator instead of a typical capital expense. In summary, none of my success would have been possible without my Poly Pet Tubs in place from day one. Thank you again for a wonderful product. With a little luck and good fortune I look forward to my next order when I open my next store!!! I purchased one of the Polly tubs and just LOVE it! It looks so much cleaner and more professional. It is not only beautiful but is more than just a tub. Before I had a ladder and the dogs did not like going in the tub for me. Now I open the door and the ramp is so low they can see in the Tub and go right in. The little dogs love being able to see out of the tub when I’m washing them by using the ramp as a lift for them. Also, the other tub was cold and made a lot of noise with their nails that would scare the dogs. I’m able to put the ramp in the tub after the day and clean if off….couldn’t do that with a ladder. I also got the bottle holder that holds 4 bottles above even my larger dogs’ heads so they don’t get in the way anymore. My large dogs are the Great Danes, Bullmastiffs, and Great Pyrenees. I got the 48-inch tub and the Great Danes look small in it. The reason I needed the new tub was the stainless steel one I had was 2 pieces and began to deteriorate and my shop got real moldy. The Polly tub is durable and one piece. It took me a month of looking, but I found the best tub! Dave was very helpful and got the tub to me quickly. 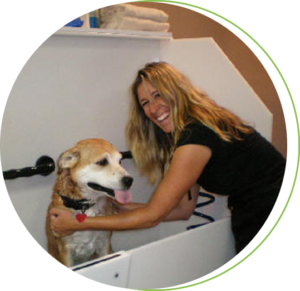 Thank you Polly Pet Tubs! 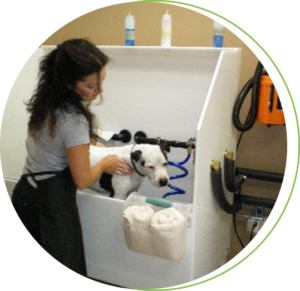 When making plans to open my dog grooming salon and self-serve dog wash, I did a lot of research and put a great deal of thought into the equipment I needed to purchase. 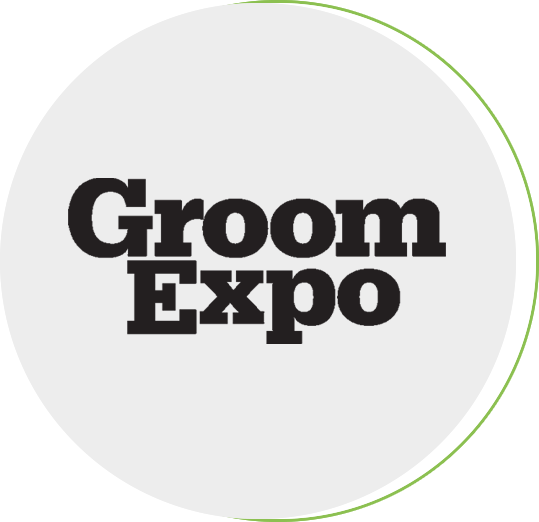 I knew my tubs would be potentially getting a lot of use so I wanted something that was high quality, would easily fit the requirements of professional groomers, and also accommodate the general public for self-serve wash. I came across Poly Pet Tubs while doing internet research. I watched their YouTube videos and read customer feedback. I was impressed by what I saw and with their pricing. We are up and running now and I could not be happier with my Poly Pet Tubs! They look beautiful and are very easy to keep clean. The polyethylene is quiet, not noisy like stainless steel tubs. 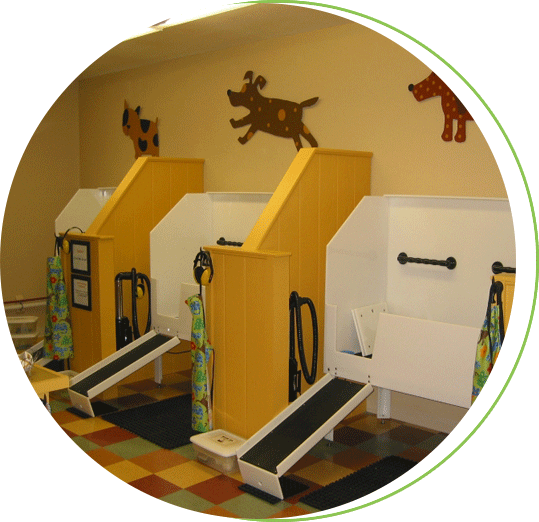 The restraint system is easy to use, very comfortable, and safe for the dogs. The mats in the bottom of the tub are very thick and one solid piece which is much more comfortable on a dog’s paws. The double drain system lets water drain out quickly. I purchased the temperature control for the water heater so my customers don’t have to worry about getting the water the right temperature; they just pick up the hose and start spraying. I am so pleased that the tubs not only look beautiful in my salon, but are highly functional and can really stand up to high volume days. Dave with Poly Pet Tubs was a real pleasure to work with. He was always very responsive and very honest when answering our many questions. 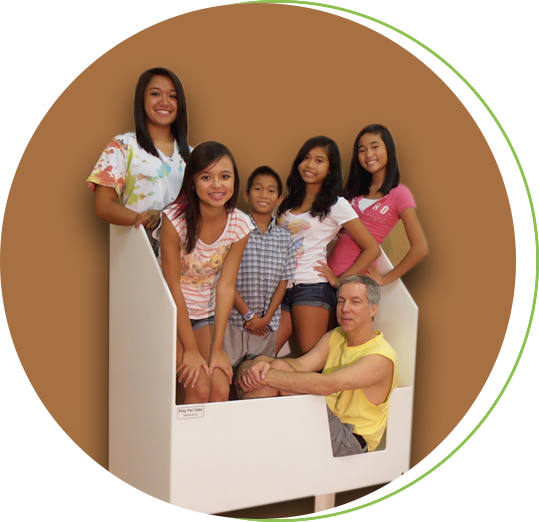 Thank you, Dave and Poly Pet Tubs! I highly recommend these tubs. We receive a tremendous amount of positive feedback on our tubs from customers. Below are typical examples. We discovered your tub by talking with a groomer who just opened her shop and bought one and loves it. We agree that they’re the nicest on the market. “My wife absolutely loves the tub. Her only complaint is that she doesn’t get to use it much—the groomer she just hired has claimed it as her own and won’t let anyone else near it! They both say it’s superior to the stainless ones for similar reasons already mentioned on your website: It’s quieter when washing, stays cleaner/easier to clean, no maintenance (her other stainless tub needs caulking at the joints occasionally) the dogs are not afraid of the shorter/lower ramp (they will not go on the other tubs ramp without being ‘pushed’, it’s not as cold to the touch as the stainless tubs, and it just looks so much better than those ‘industrial’ stainless versions, and several of her customers thought is was much more aesthetically pleasing as well. Everyone who has seen it really likes the design features and material it’s made of. It’s brightened her shop and made it look more sanitary and professional in appearance. My wife is still using a 48″ Pet Lift brand (I think) tub as well but will probably be replacing that with one of your 48″ Poly tubs as soon as the revenue allows—we just remodeled her shop and added a lot of new equipment that needs to be paid for first otherwise we would have already ordered another tub from you.